Never heard of Kerinci? You’re not alone. A remote highland valley, nestled between almost impassable mountains and volcanoes, the Kerinci region has long been mysterious and isolated. In fact, it was one of the last places in Indonesia to fall to the Dutch, with the colonial power not getting a grip on the area until 1903. Even now, very few travelers make it this far inland, despite the region exploding with natural beauty, abundant wildlife, and a unique traditional culture. 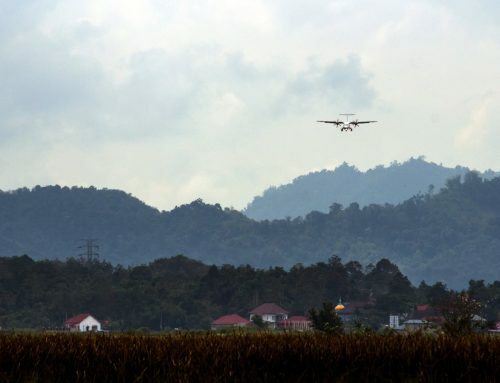 But with new daily flights opening up to the valley, Kerinci is now easier than ever to discover. The following are ten good reasons that a visit to Kerinci should be high on your bucket list. 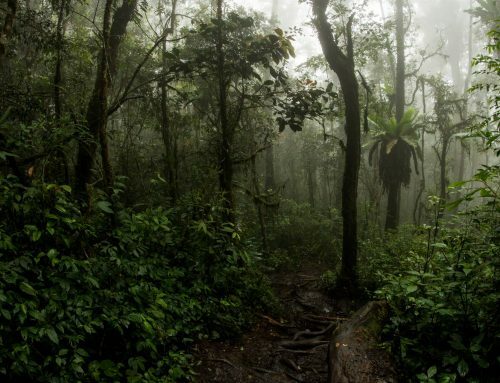 The Kerinci Seblat National Park (Taman Nasional Kerinci Seblat), at almost 14,000 km2, is the largest National Park on Sumatra. 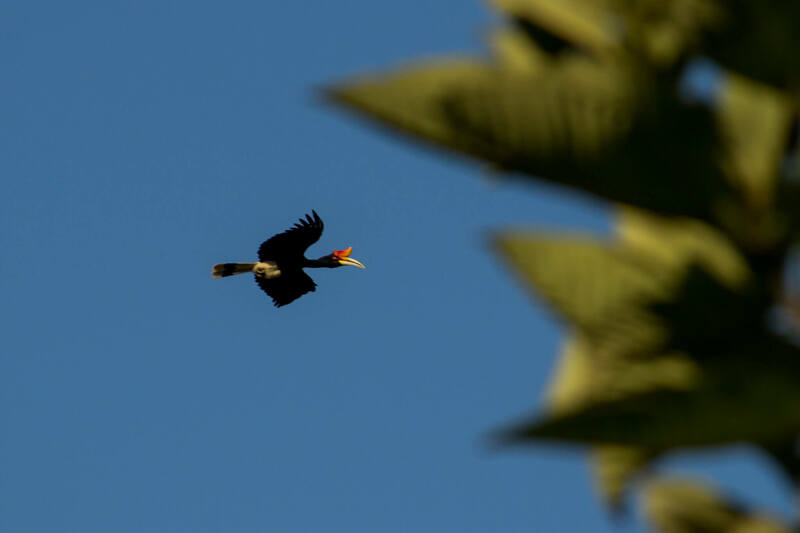 In fact, it’s one of the largest protected areas in all of Asia – with more protected forest within its boundaries than all of Costa Rica’s national parks combined. It’s more than 2.5x the size of Bali! It has the highest occurrence and population of tigers of any protected area in all of Southeast Asia as well, with bountiful wildlife, birdlife, and plants making their home in its forests. 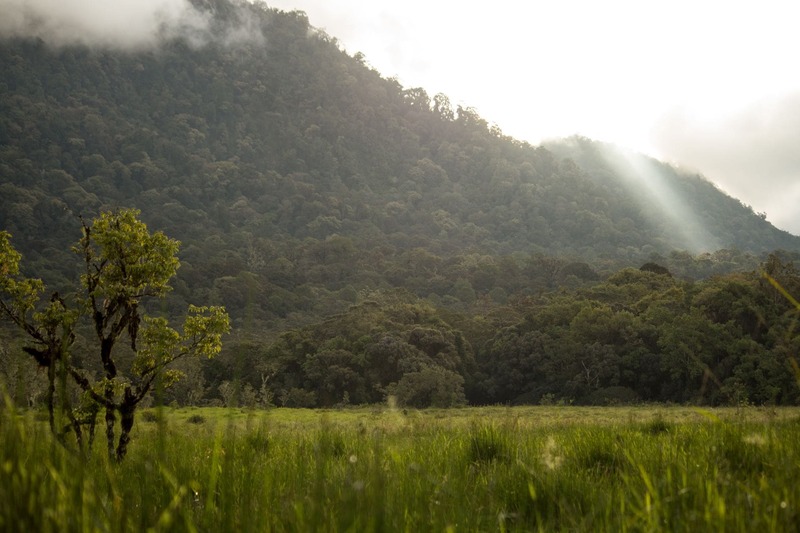 With elevation in the Kerinci region starting above 400m, and rising to 3,805m, there’s a huge breadth of biodiversity of fauna and flora. 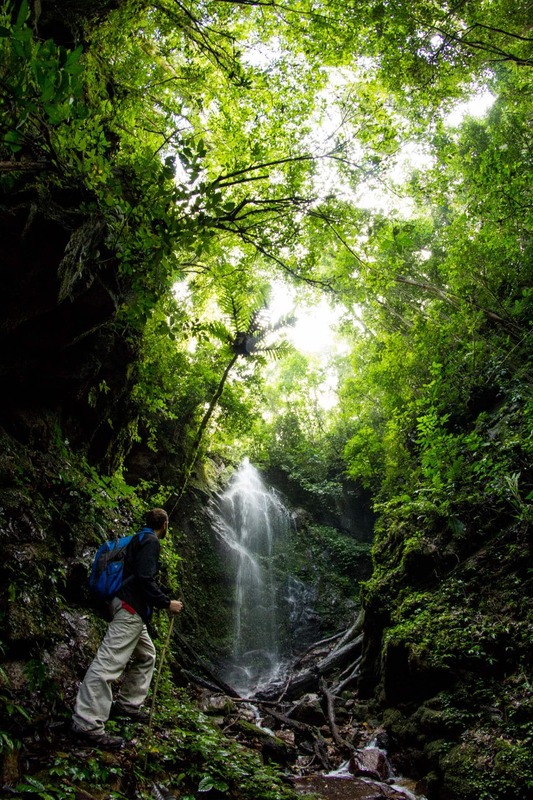 There are opportunities for multi-day hikes into cloud forests at the top of mountains and volcanoes, day trips to hot springs and waterfalls, and adventures to unique and colorful lakes with Indonesia’s best chances to see Sumatran tigers in the wild – you could easily spend a month exploring Kerinci, and not even scratch the surface. 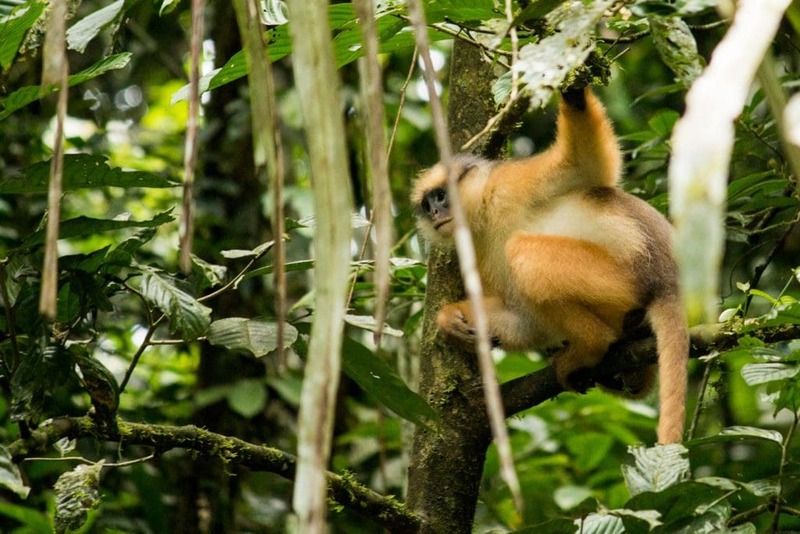 The great chances for wildlife viewing, combined with the stunning views, diverse landscapes, and cool temperatures, make for some of the most incredible jungle trekking in the world. A wild Siamang gibbon near Muara Imat village, Kerinci. Not only is Mt. Kerinci both the tallest point on Sumatra and Indonesia’s highest non-Papuan peak, at 3805m above sea level, it’s also the highest volcano in Southeast Asia. In fact, in all of Asia, only Iran and Russia have higher volcanoes. A dry riverbed on the slopes of Mt. Kerinci. The climb, too, is fantastic. 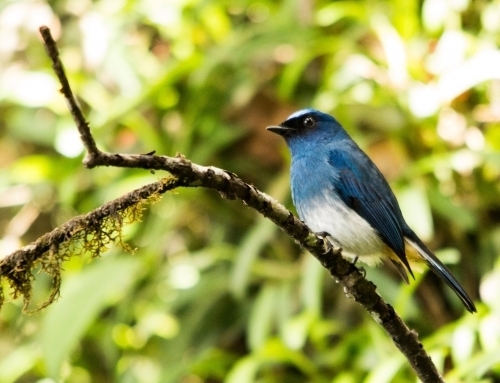 For almost the entire trek you’ll find yourself under the rainforest canopy, with loads of wildlife viewing and bird watching opportunities until you reach the scree at the very top – where the views are out of this world. This is in contrast to the much more popular (thanks to its proximity to Bali) Mt. 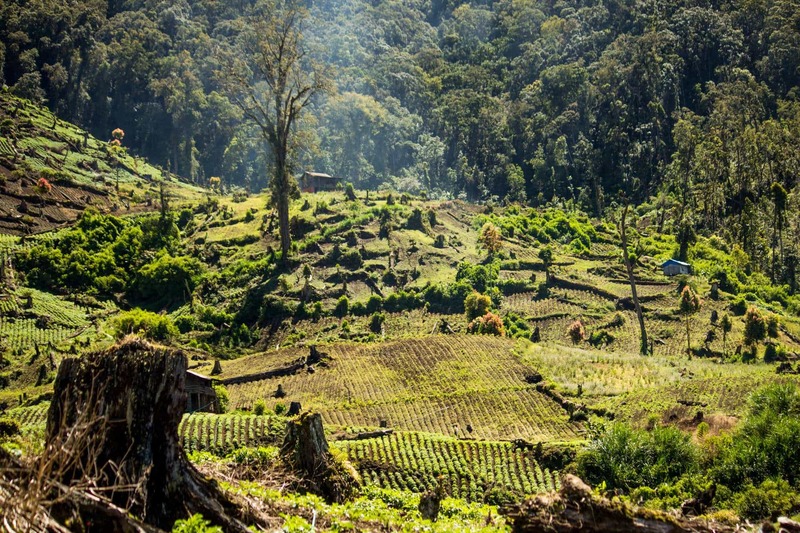 Rinjani, where the trek is mostly in grassland under the hot sun with little wildlife–although it’s still a fantastic trek in its own right. 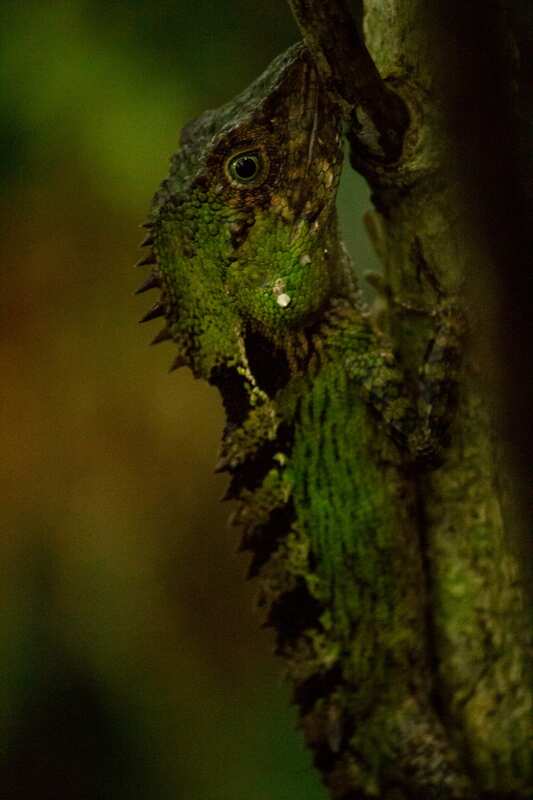 A species of agamid lizard on Mt. Kerinci. Mt. 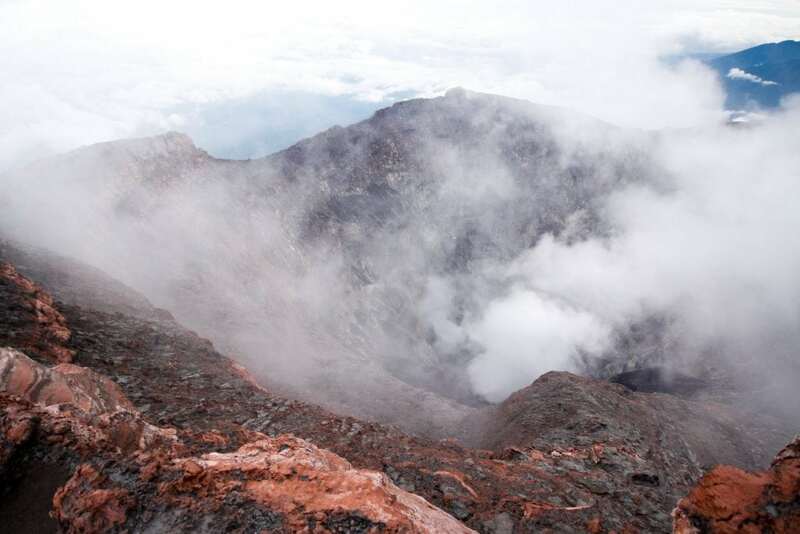 Kerinci has much fewer climbers on the trail, a more pristine environment, higher elevation – and with recent flights opening up, is now a lot faster to reach. The steaming crater of Mt. Kerinci. Besides the highest volcano in the region, the Kerinci region also has one of the highest volcanic caldera lakes in Southeast Asia. Mt. 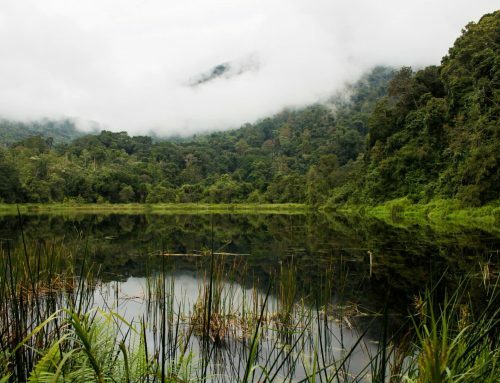 Tujuh Lake (Danau Gunung Tujuh), sits at around 2000m above sea level, stretches more than 4.5km across, and is completely encircled by an incredible, and little explored cloud forest. Clouds swirl across Mt. Tujuh’s caldera lake. Seven peaks, remnants of the old volcano, tower over the lake, with the highest rising another 700m. 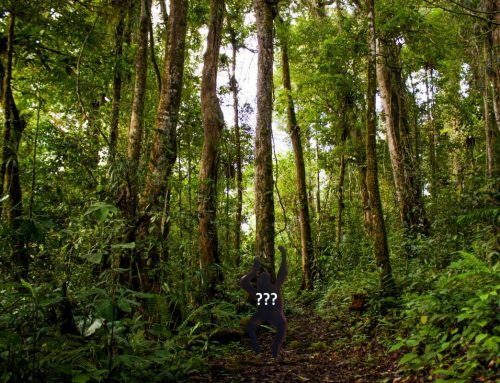 Not only do tigers, dhole, tapir, gibbons and other wildlife make their home on the massif, but possibly the mysterious orang pendek as well. 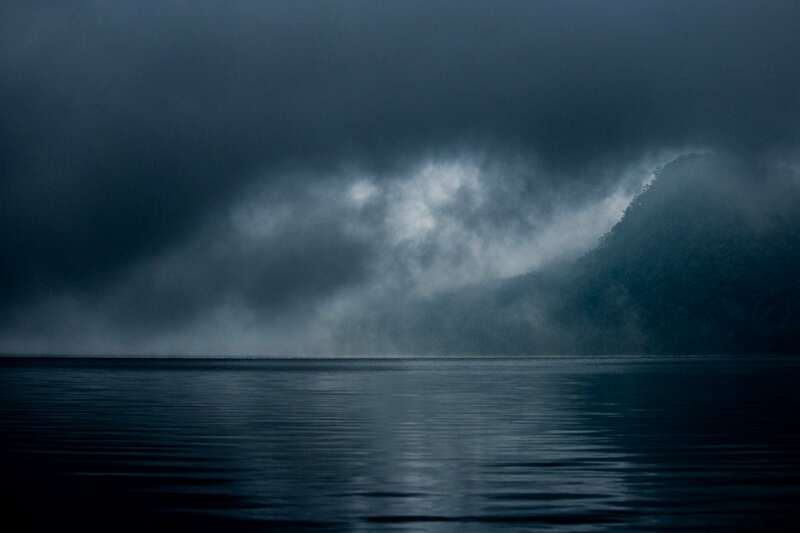 Being up there, watching the clouds swirl and dance across the mountains and over the surface of the lake, it really feels like you’ve stepped into a lost world. Trekking through the forests of Mt. Tujuh. Mt. Tujuh is truly one of the most magnificent, yet little-known hidden-gems in all the world. You won’t regret taking a few days to explore the vast area, either by hiking or paddling a dugout canoe across the lake. A yellow handed mitered langur (presbytis melalophos melalophos) in the Kerinci Seblat National Park. 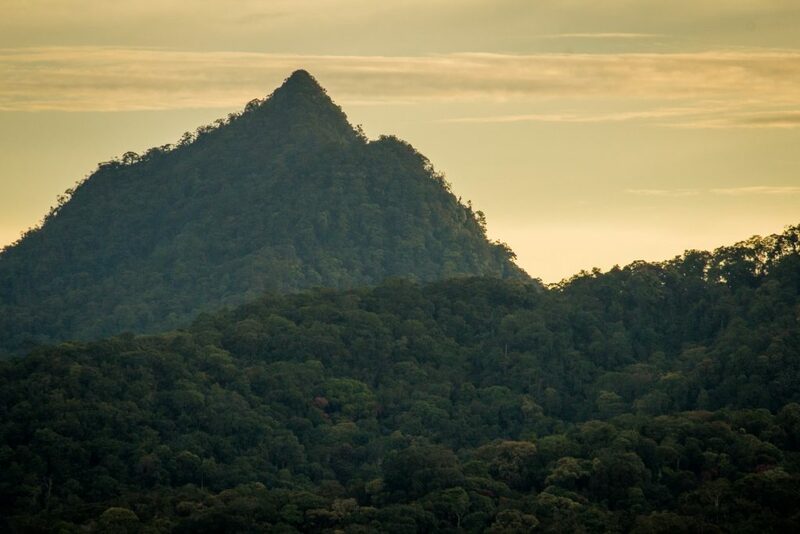 The surrounding Bukit Barisan mountain range and its collection of jagged peaks, sweeping vistas, and rainforest-covered volcanoes. 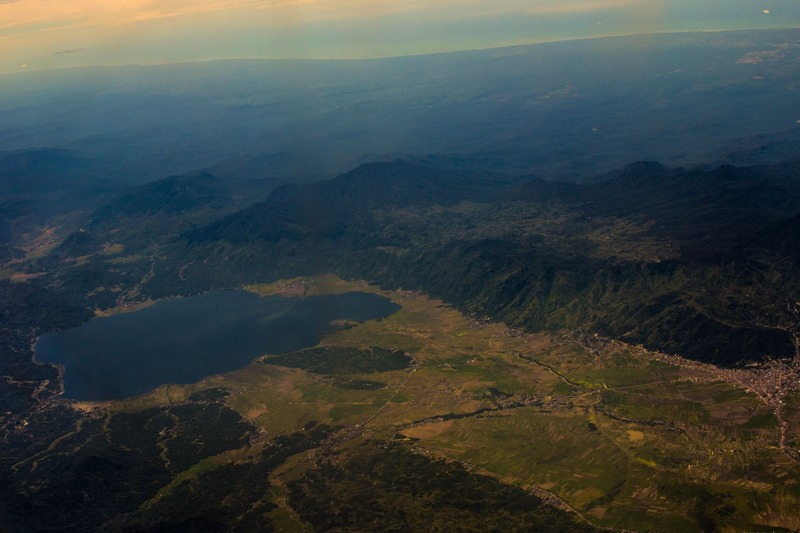 The southern half of the Kerinci valley, including Lake Kerinci, from the sky. 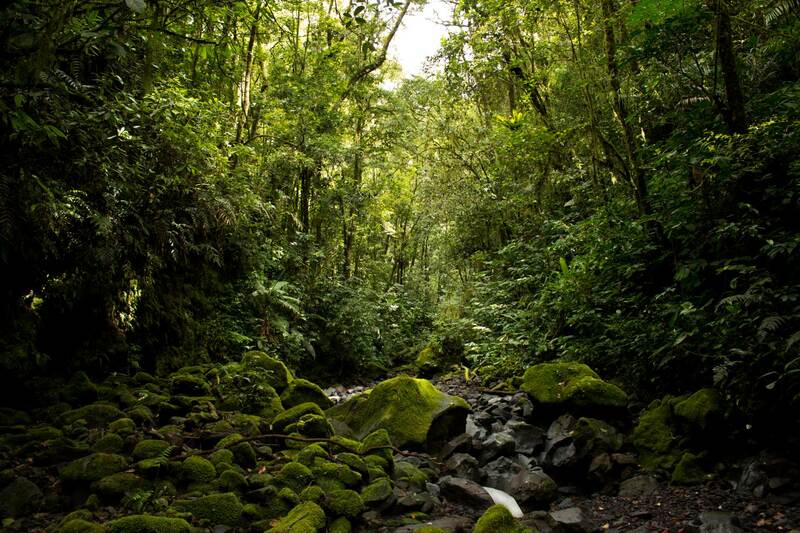 Both cloud forests on mountain tops, and lowland jungles on the river’s-edge. 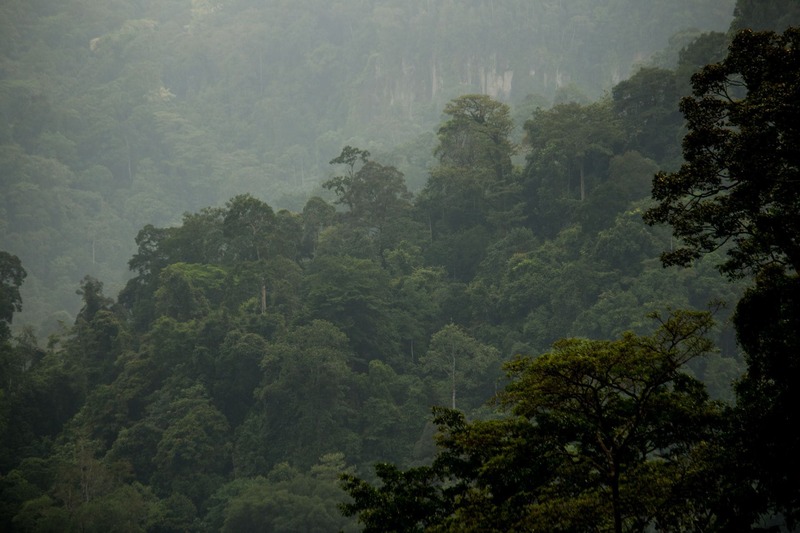 Rainforest near the village of Muara Imat. Highland farms of coffee, tea, and cinnamon. Highland farms and rolling hills in Kayu Aro. The trees tinged with pink and red are cinnamon trees. Rice paddies that stretch far into the distance. 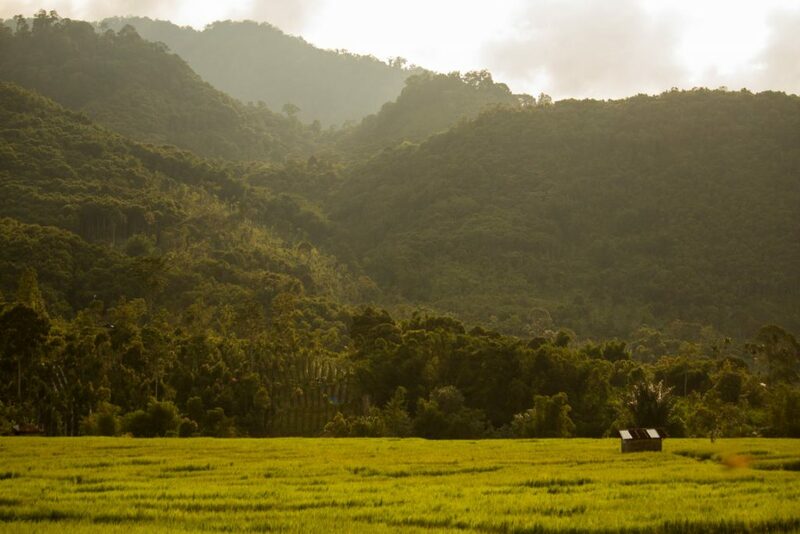 Rice fields near the village of Koto Lebu. 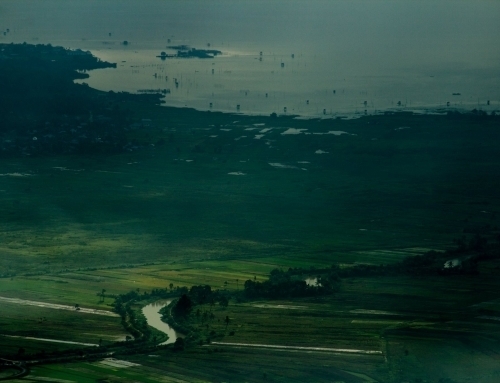 Fishing villages on the edge of the massive Lake Kerinci. 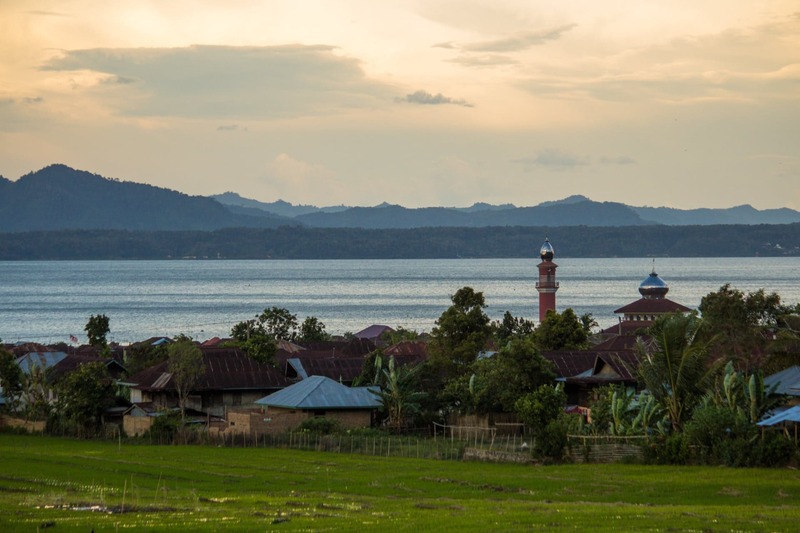 A small fishing village on the edge of Lake Kerinci. 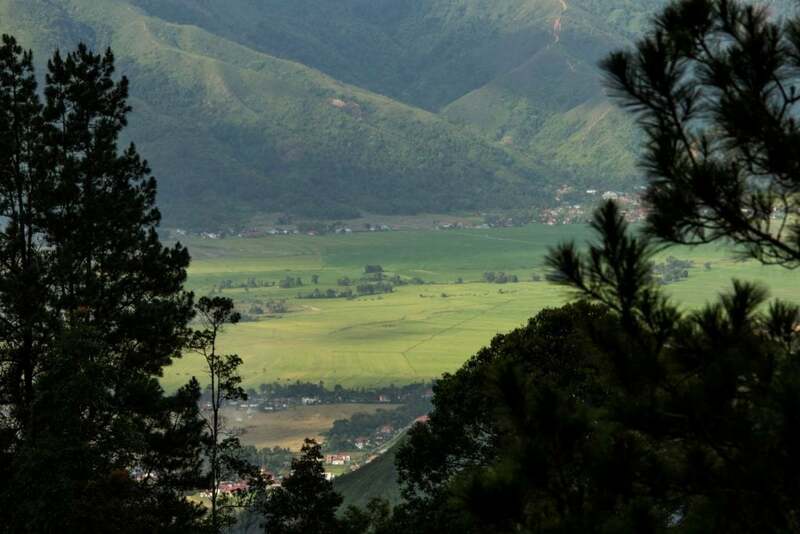 The Ladeh Panjang Wetlands – one of the highest wetlands in Southeast Asia. Alpine-like groves of pine-forest found almost directly beside tropical scenes of coconut trees and rice terraces. 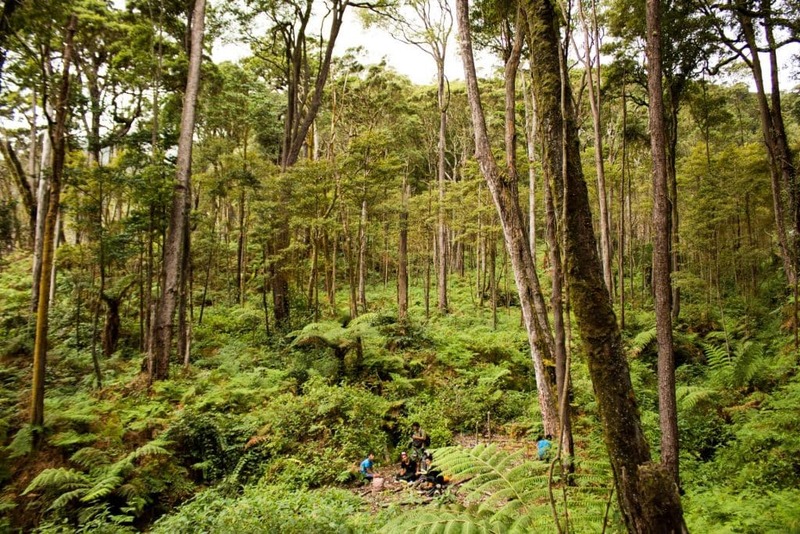 Kerinci has the only species of pine tree that naturally occurs south of the equator. 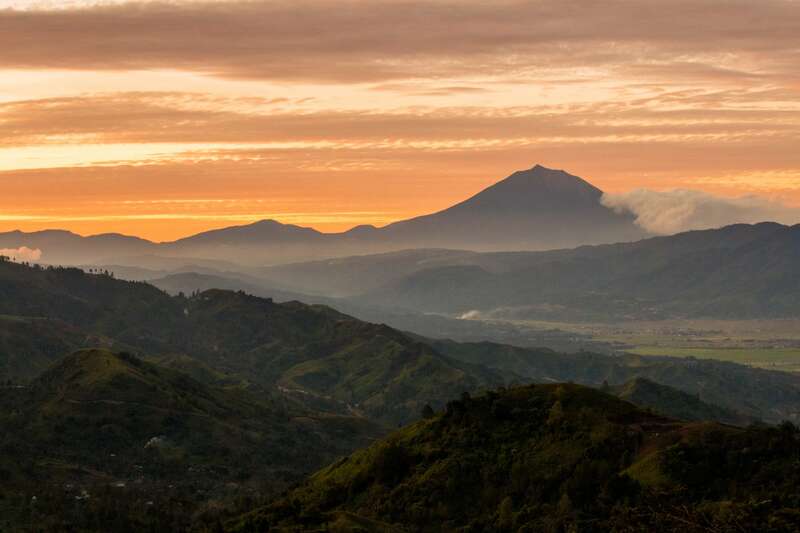 Kerinci is a microcosm of much of what Indonesia has to offer. 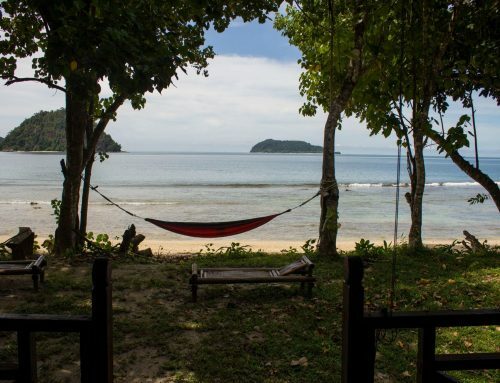 There’s even a crystal clear blue lake – Lake Kaco – teeming with fish and colorful crabs, like a blue lagoon hidden in the jungle. 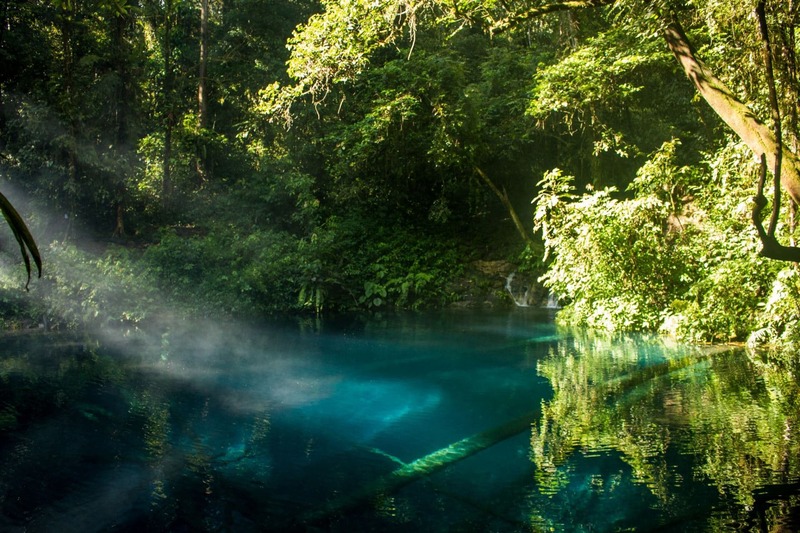 Danau Kaco, a brilliantly blue lake fed by an underground spring, Kerinci Seblat National Park. 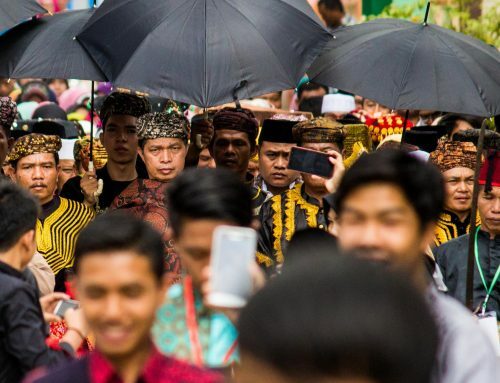 Because of the historical isolation of the valley, it still has a strong traditional culture—with ancient songs, dance, silat martial arts, languages, festivals, and customs found nowhere else in Indonesia. 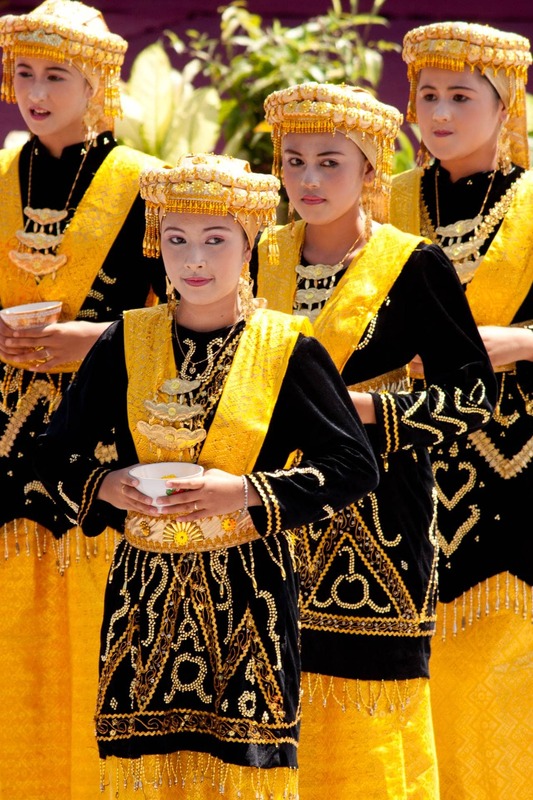 Traditional Kerinci dress during a cultural event. The bowls are a symbolic offering and welcome to honored guests. For many of the villages that dot the valley, a way of life revolving around farming and family hasn’t changed much for generations. On a visit to Kerinci, you could join a farmer planting rice, go fishing in a dugout canoe, see how cinnamon bark is harvested and prepared, pick and process coffee and tea, or watch how sugar is traditionally made. 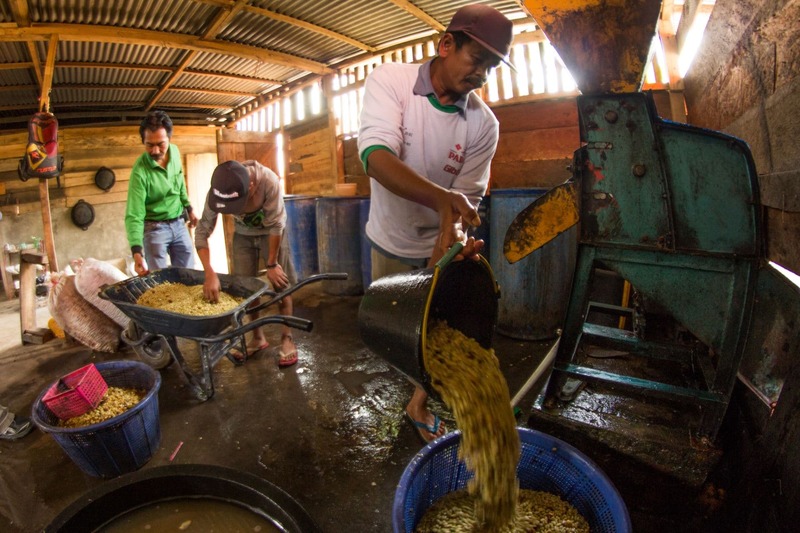 Rinsing coffee after the fermentation process in a processing facility in Kayu Aro, Kerinci. 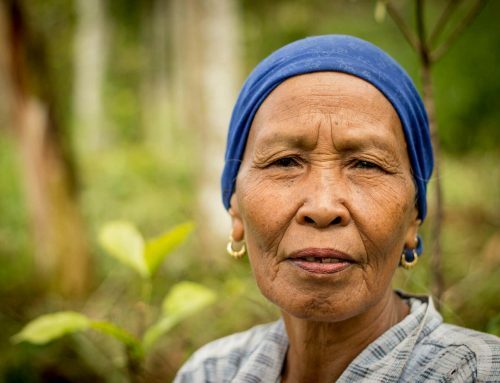 Kerinci is truly an authentic slice of Sumatra, with some of the friendliest people you will ever meet. 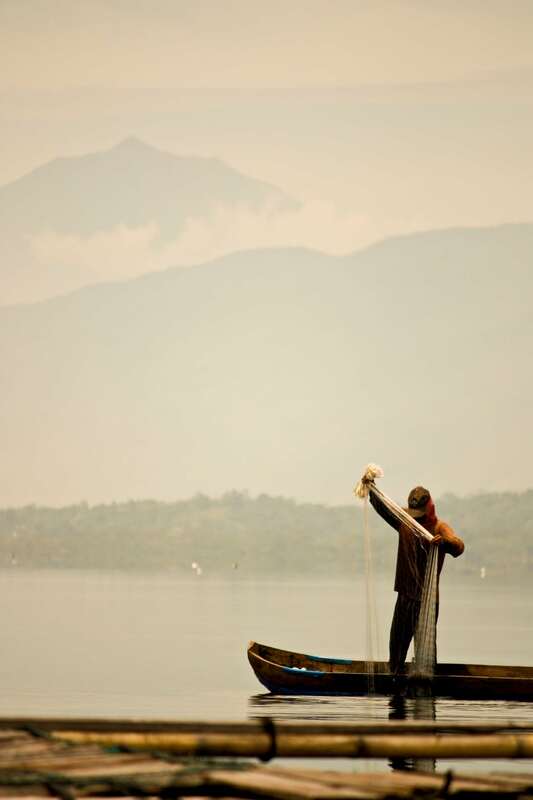 A fisherman on Lake Kerinci, with Mt Kerinci rising in the background. Found at the foot of Mt. Kerinci, The Kayu Aro Tea Plantation, with an area of more than 30 km2, is the largest tea plantation in the world. With parts of the estate rising above 1600m in elevation, it’s one of the highest as well. 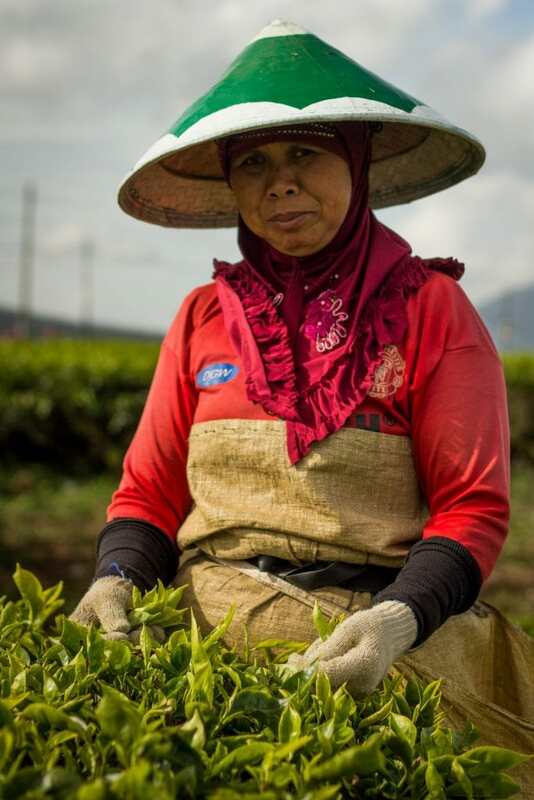 A tea picker in Kayu Aro. Built by the Dutch in 1925, you can find old colonial buildings surrounded by spring flowers in the village of Bedeng Delapan. 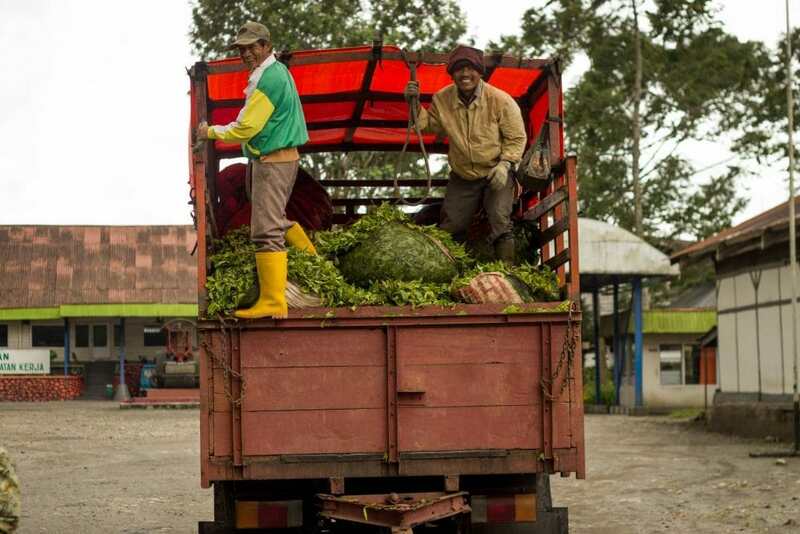 Harvested tea on the way to the factory. The old tea factory is there as well, where you can watch the process that turns the leaves into the world’s most popular beverage. 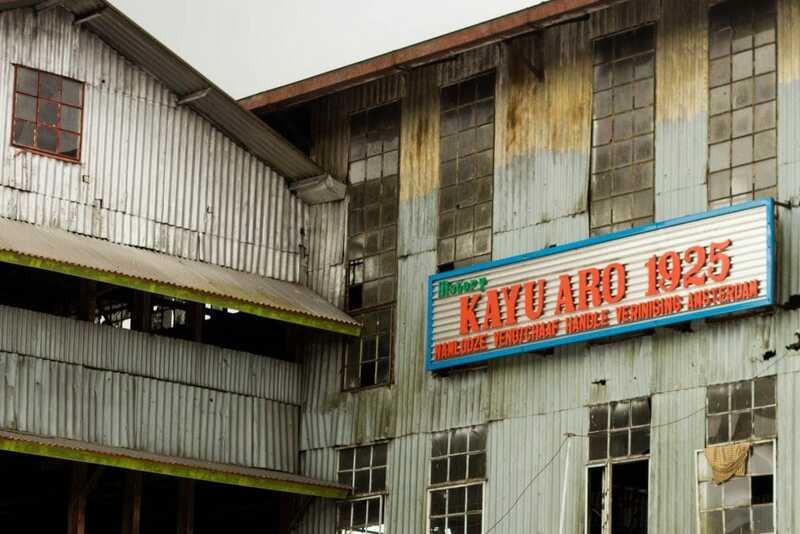 The Kayu Aro Tea Factory, built in 1925. 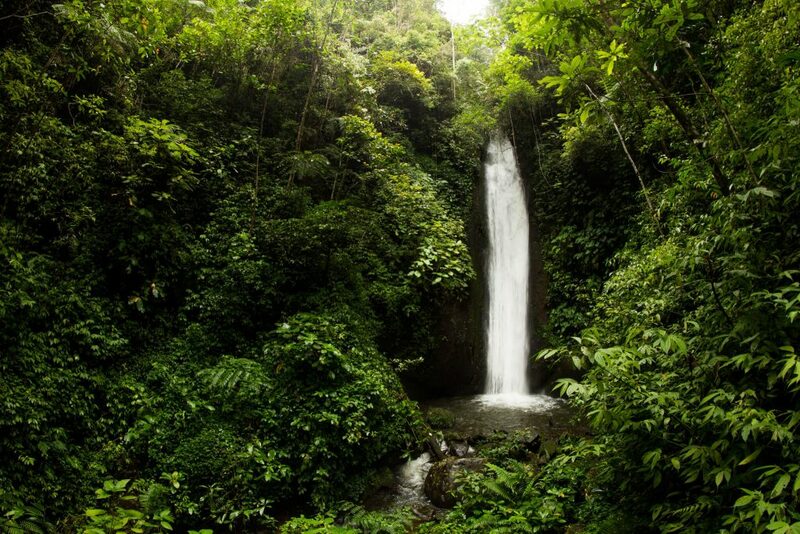 Kerinci is known as the land of a thousand waterfalls, and rightfully so. 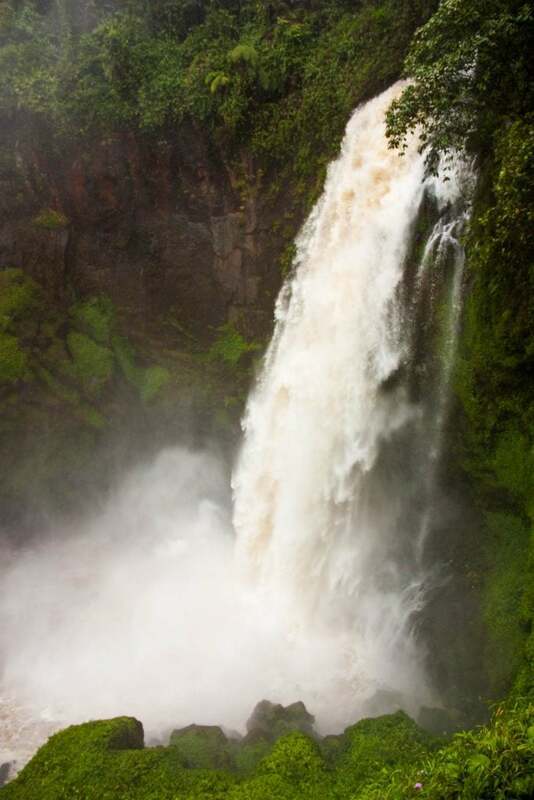 Pretty much every village has their own multi-level series of waterfalls, tumbling off the surrounding mountains on their journey to the rivers running through the valley and onward to Lake Kerinci. 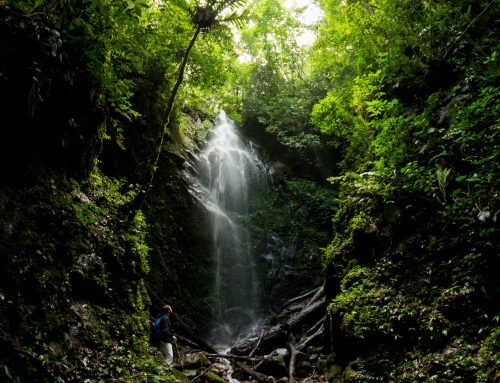 A hidden waterfall in the rainforests of Bukit Tapan. Certain ones, like Telun Berasap, thunder with huge volumes of water. Others, like Pancuran Rayo, are very tall, but mistier at the bottom. Telun Berasap Waterfall, near the village of Leter W.
Likewise, there are a number of hotsprings scattered about as well. 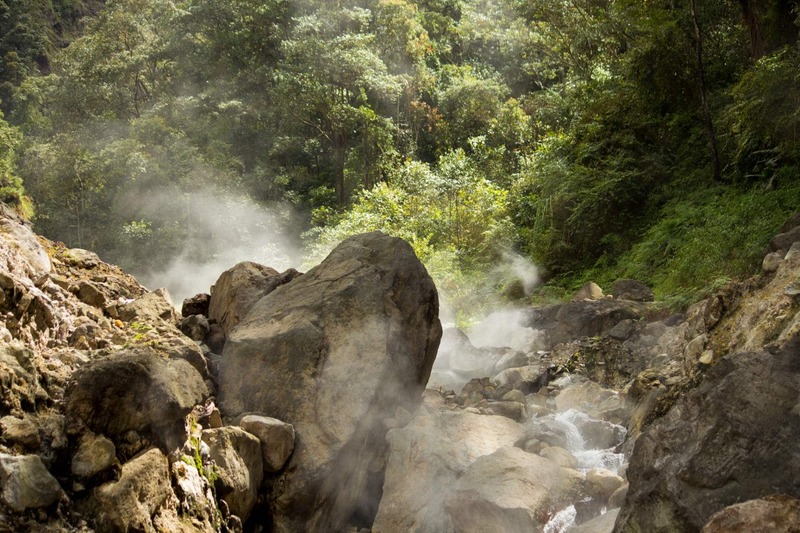 Some are easy to reach, popular spots for locals to hang out and boil eggs. 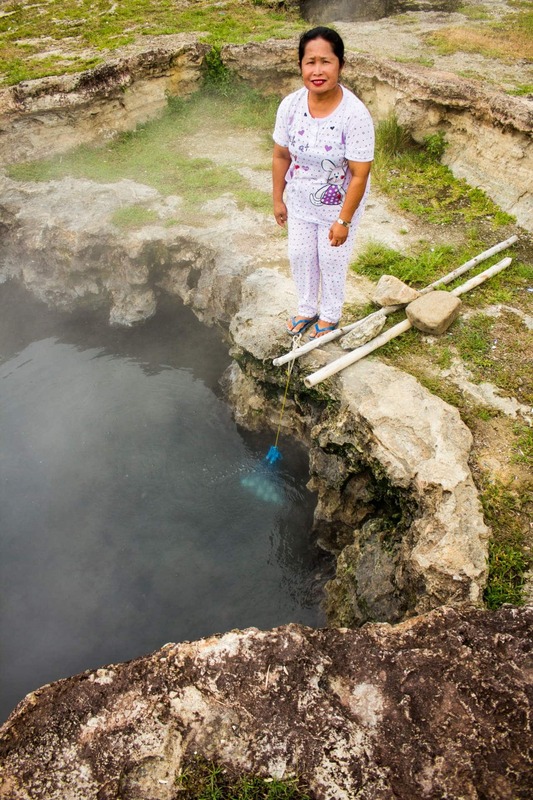 One of the hot springs found near the village of Semurup. While others demand hours or even days of jungle trekking to reach. The Talang Kemuning Hot Spring area, reached after a four hour hike. It’s always an adventure taking a trip to some little-known falls or hot spring hidden away in the rainforest. The Batu Kuho waterfall, near the village of Desa Air Terjun, Dusun Tinggi, Siulak Mukai. 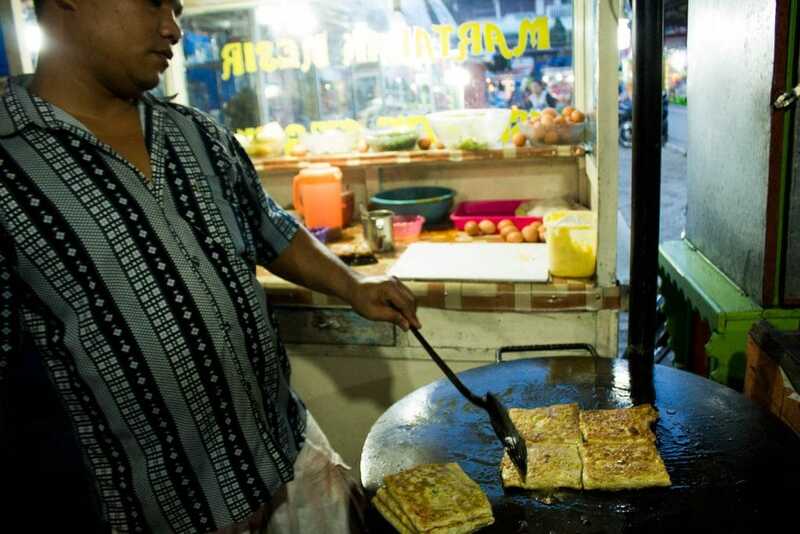 As everywhere in Indonesia, in Kerinci you’ll find the staples of nasi goreng and mie goreng (fried rice/noodles), as well as typical street food like sate and martabak. 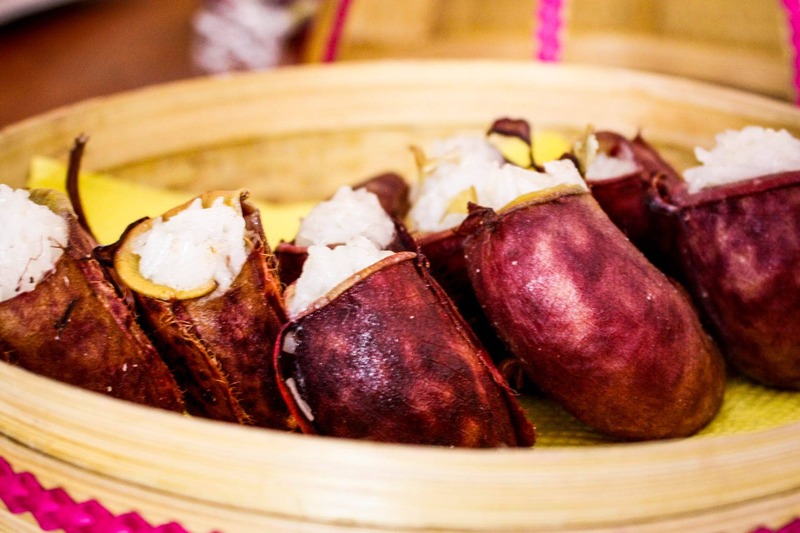 A great place to partake of these is Sungai Penuh’s pasar malam night market. Martabak Mesir – meat and veggies in a wrap made of flour and egg. A popular street food. But with such close proximity, both geographically and culturally, to West Sumatra, Kerinci cuisine has developed in a similar way. As West Sumatran/Padang/Minangkabau food is considered some of the best in Indonesia, this is definitely a good thing. 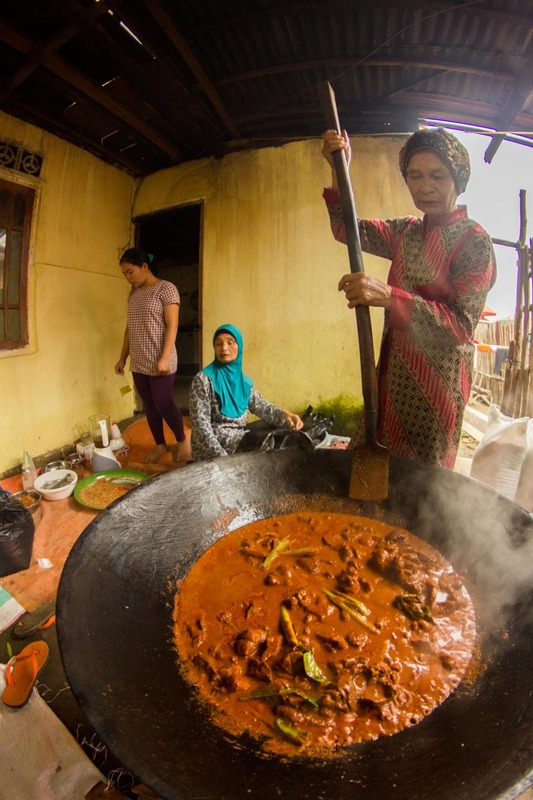 With slight Kerinci twists, famous dishes like Rendang and various types of gulai (curry), are common and delicious. One of the best options is dendeng batokok, which in Kerinci is soft and tender strips of beef grilled to perfection. Cooking Gulai Nangka – a curry of young jackfruit. 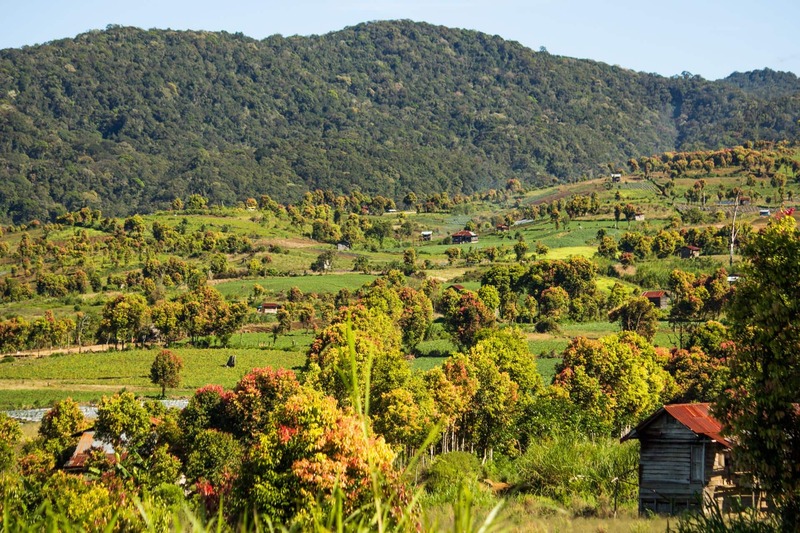 In villages closer to the forest edge, you might find stir fries with wild bamboo shoots and mushrooms, and selada air, a type of wild watercress. One village, Lempur, is famous for steaming a variety of lemang (sweet coconut rice) in pitcher plants grown sustainably in a wetlands near the village! Lempur’s version of lemang, kancung beruk, sweet coconut rice steamed in a nepenthes pitcher plant. 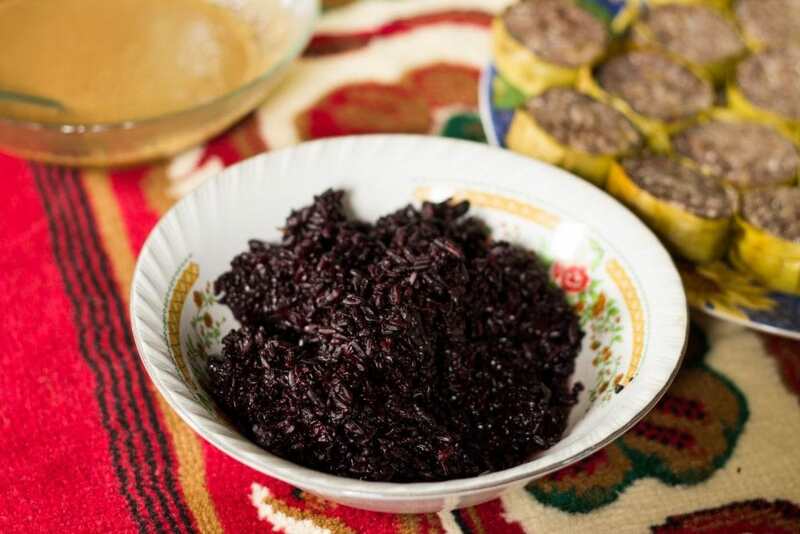 If you ever get the chance to visit a Kerinci village when they’re having a traditional festival, like a kenduri sko, make sure you try lemang with tapai ketan (black fermented rice), a banana, and sarikayo (a sweet sauce of coconut milk and egg), the combination of the flavors is exquisite. Tapai Ketan, a fermented black rice, along with lemang (sweet coconut rice steamed in bamboo) and sarikayo (sweet coconut milk and egg). For going on a journey halfway around the world, too many travelers to Southeast Asia just end up hanging out with other westerners in over-touristed places. That’s not Kerinci at all. 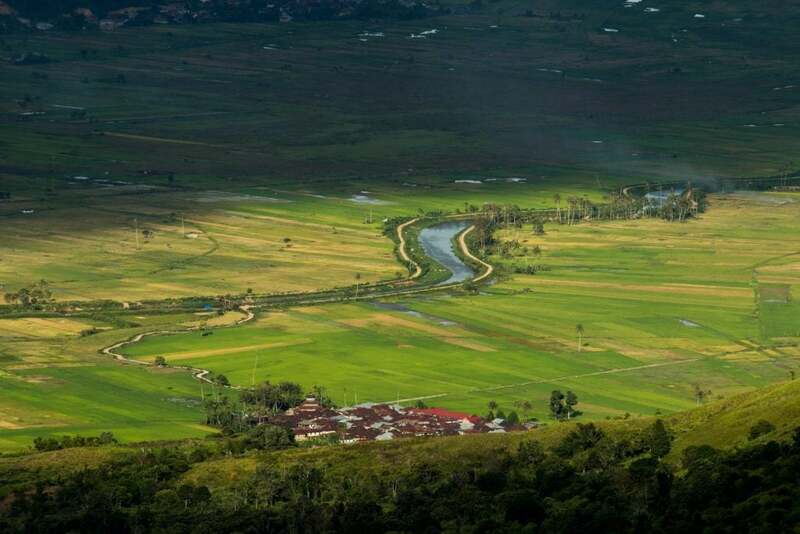 One of the rivers that flows through the Kerinci Valley. We are far, far off the banana pancake trail. 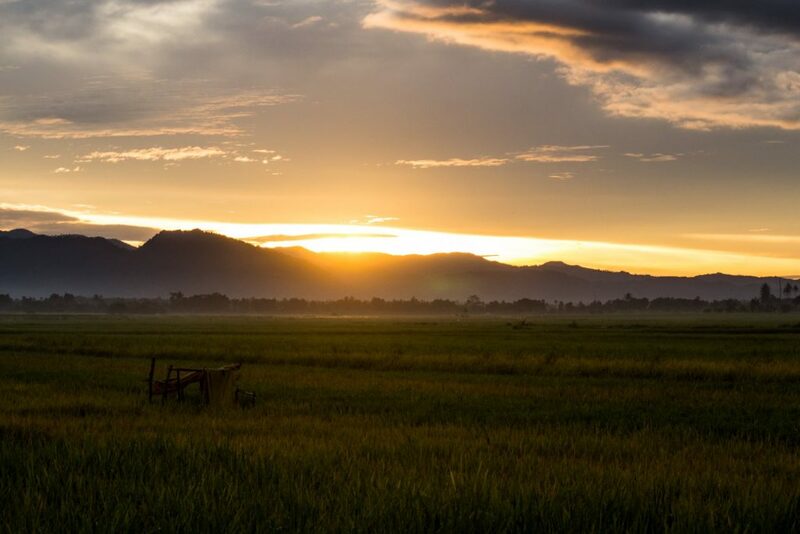 While most backpackers stick to those well-worn routes, you’ll be tucking into authentic Sumatran cuisine in pristine rainforest, as one of the only non-Kerinci people within an eight-hour radius. A campsite on the edge of fumarole vents, Mt. Kunyit volcano. Yes, it’s not always easy travelling here. Accommodations are extremely basic, English is not widely spoken, nothing would be considered “international standard,” and things don’t always go according to plan. 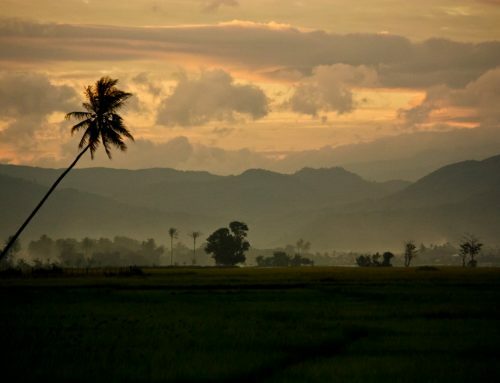 Coming to Kerinci is a legitimate adventure, far off the beaten track—with all that entails. But to us, that’s exactly what makes it so great. 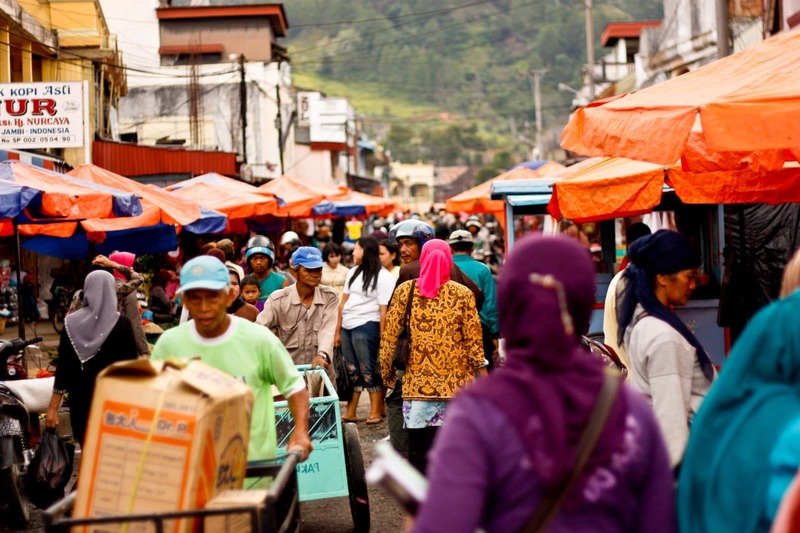 The lively and chaotic Sungaipenuh market. Kerinci needs you! Like most protected areas in Asia, the threat of poaching and forest encroachment is a constant reality. 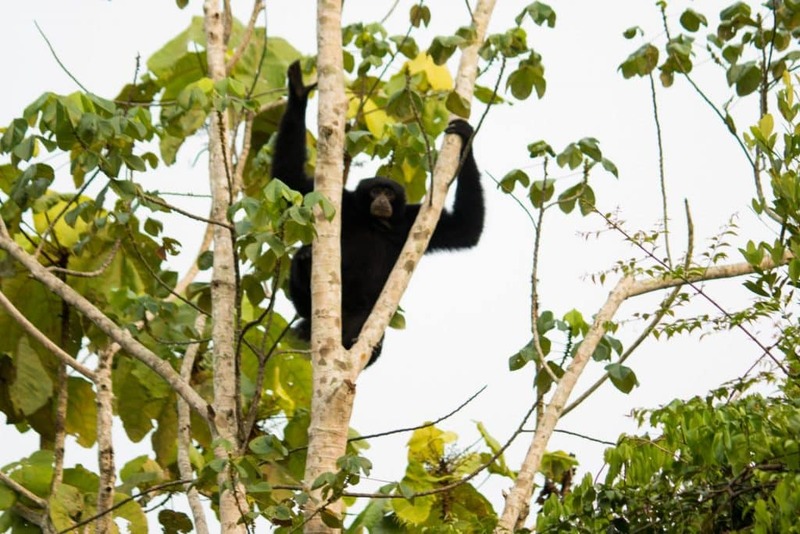 With little economic opportunity, due to the isolation of the valley, there are those who see the exploitation of the rainforest and wildlife as a way to earn a quick, although illicit, financial windfall. 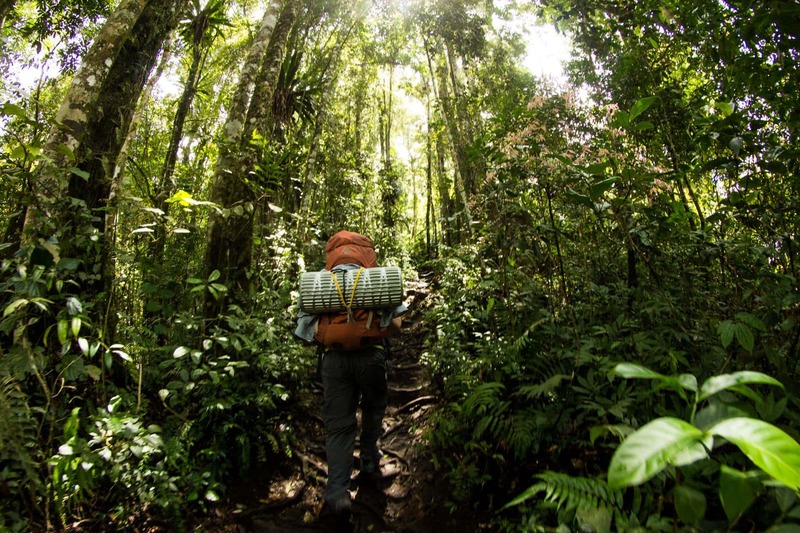 This is why ecotourism is so important – it provides forest-edge communities with an alternative and sustainable source of income, putting an economic incentive on keeping the forests pristine. 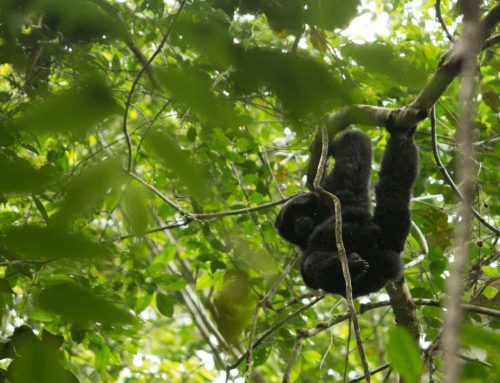 And it’s especially vital due to the importance of the Kerinci Seblat National Park in providing fresh water and clean air to over seven million people, and ten million hectares of agriculture. Ricefields on the edge of the rainforest, Lempur, Kerinci. Visiting Kerinci with us not only supports local guides and communities, but it also directly supports the work of Tiger Conservation and Protection Units within and around the park, who patrol for animal snares and perform law enforcement actions against those involved in the illegal wildlife trade. I love going to remote places like this! Your photos are beautiful! Absolutely fantastic article Luke! I’ve heard of Kerinci before and in fact, my sister in law came from the area but I’ve never been there. Your article certainly made me want to go there sometime soon. I am absolutely fallen back off my chair just discovering that such a place still exists. Great piece of work to give anybody the wish to go visit, congratulations. Having visited bits of Sumatra and having been sick almost everytime I had to take overland transport either by the driving habits, the bad condition of the transport mode, or (mainly) the amount of gaz fumes on the road, it is really excellent you emphasize that there is an airport nearby. Thank you! It is certainly a fantastic hidden valley! Hope you get to see it some day (and don’t get carsick on the way! ).